Filtered Water, Pure Organic Agave Nectar, Lime Juice Concentrate, Lemon Juice Concentrate, Citric Acid, Natural Flavor, Sodium Benzoate & Potassium Sorbate (as preservatives). 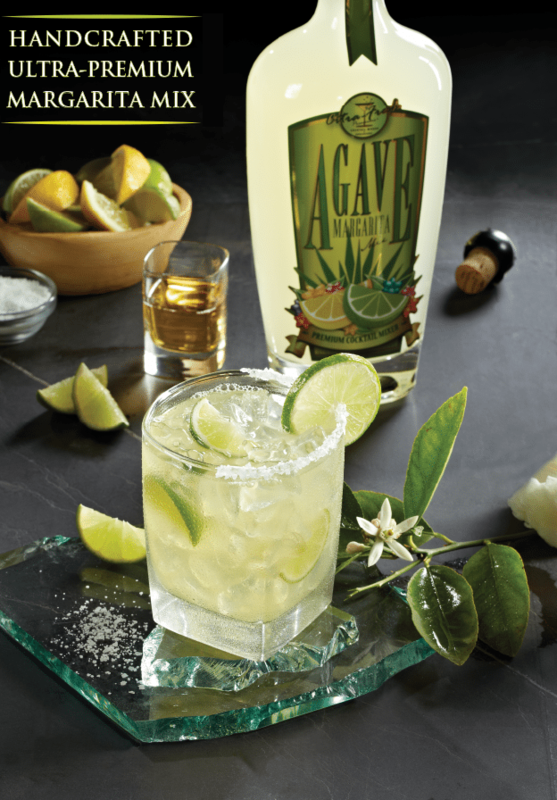 Citra-Fresh® Agave Margarita Mix is a one-of-kind, handcrafted, gourmet cocktail mixer. The unique, smooth, rich flavor of Citra-Fresh® Agave Margarita Mix comes from our exclusive recipe of hand blending 100% Pure Organic Agave Nectar with the finest fruit juices and all-natural flavors. Now you can easily create the perfect, premium, gourmet margarita right at home. Just grab a bottle of Citra-Fresh® Agave Margarita Mix, a bottle of your favorite premium agave tequila, a fresh lime (or lemon), and a bit of ice, and you’re good to go! Secure top of the cocktail shaker and shake contents (until chilled). Squeeze and drop a quarter wedge of lime (or lemon) into an iced filled, salt-rimmed (optional) glass. Strain or pour contents into the glass. Top off with 1/2 oz. shot of Contreau® or Gand Marnier®, serve and enjoy!